When you hear the words flesh eating virus, does it conjure up images of exotic locations around the world far removed from where we live? Do you wonder what type of people can get infected with a flesh-eating bug? My first thoughts were about just how would she ride a bike? And just what amazing balance it must take to stay upright on 2 wheels! After I met Kerryn I got all the answers to my logistical questions about bike riding and so much more – I met someone who not only has a wonderful spirit but for whom the word resilience is a way of life. The bacteria, in case you are wondering, is necrotizing fasciitis. 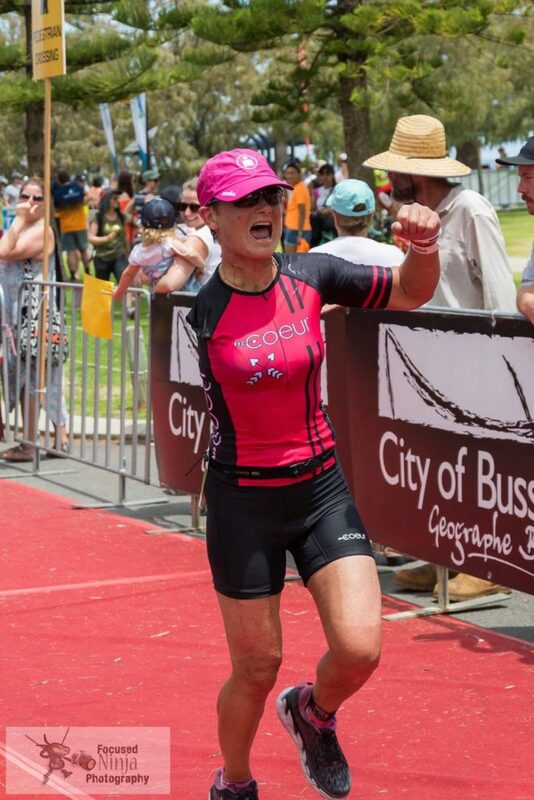 Join me and read more about Kerryn, find out how she does ride a bike, and learn about her amazing recovery from not one but two life changing events, her resilience, her strength and her desire to live her life in a way that celebrates all that is important to her whilst helping others on the way. I am 53 years young and live in Melbourne, Victoria. I run my own Personal Training business, am founding director of my charity START Foundation (Empowering Amputees in Life Through Sport), and I am a presenter. My greatest passion is sport and particularly the sport of triathlon. Since I became an upper limb amputee in 2013, I have been able to rebuild my life and my fitness and return to triathlon. 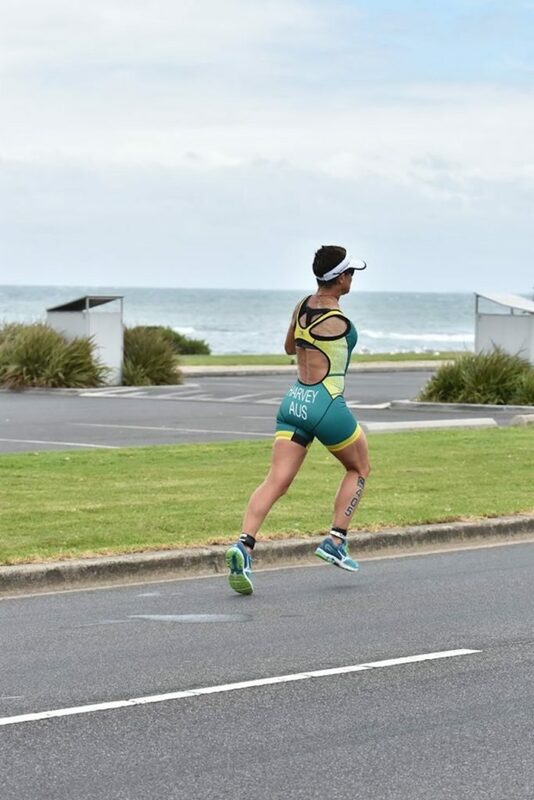 I now race as a Para triathlete racing both within Australia and overseas as part of the Australian Elite Paratriathlon team. What has been your journey of disability? I was leading a very fit and active life when in January 2013 I was involved in a minor cycling accident. From a small wound in my elbow I contacted a flesh-eating bacterium. Within 24 hours the bacteria took over my body and I almost died. Amputation of my entire arm and shoulder was the only option to save my life. I spent 3 months in hospital then it was another 12 months of rehabilitation before I was ready to rebuild myself. While in rehab I was able to have a good think about what I wanted to do with my life. I decided everything I put my energy into needed to be things I was passionate about. I went back to study for Cert III/IV in fitness and became a personal trainer and now run my own business. I teamed up with some friends and family to create my charity START Foundation as I felt a desperate need to give back after the care I had received. I also fell into the world of public speaking, mainly due to people wanting to hear my story. (Not something I was originally passionate about but I am now!) I worked extremely hard to regain fitness with the ultimate goal to complete another triathlon. It took me 2 years before I was fit and strong enough and had the confidence to race. I haven’t looked back since and am now training for a full Ironman in December 2018. Are there things about you that people misunderstand because of your disability? People that know me well are fine. They know when I need help automatically and know when I can and want to complete tasks by myself. New people sometimes struggle with knowing if they should ask to help or leave me alone until I ask. I always appreciate being asked but I don’t like it when people just assume, I need help and do things for me that I can easily do. Much of the misunderstanding is around my physical appearance. My body is a bit battered with missing muscles and many skin grafts and skin graft donor sites. My donor sites are often confused for a cyclist’s leg tan and when I let people know what the change of skin colour really is, many get embarrassed. Who inspires you? Where do you get inspiration from? My inspiration comes from a few sources. 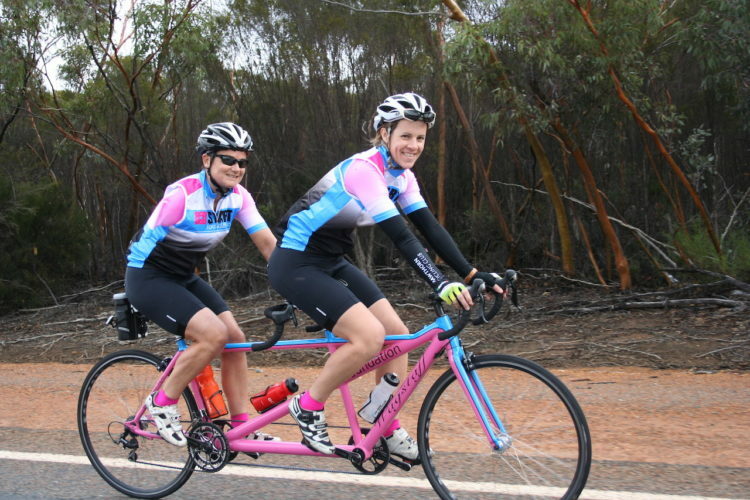 Firstly, my team mates in the Australian Paratriathlon Team. There is a multitude of disabilities within the team but nobody complains about their disability. Each individual athlete is striving to get the best out of themselves and their circumstances. It’s such a positive environment to be in. I am also inspired by many friends and family who have gone through hardships but have dusted themselves off and never given up on chasing and achieving their dreams. What’s one thing that someone has taught you that completely changed your life? There is not one thing or one person but a combination of life events and the people in it. I have learnt on my journey that life can change for the better or worse in an instant. We need to appreciate the good times and really be in these moment as there is always new and unexpected challenges awaiting each and every one of us that will test us and rock our worlds to the core. Who or what has been the most significant influences on who you are today? No one person but two significant events. Surviving stage 3 Bowel Cancer is 2000, then surviving necrotizing fasciitis against all odds in 2013. Two incredibly difficult times that helped me to re-evaluate what’s important in my life and change the direction of my life. All my energy is now directed towards things I am passionate about – my work as a Personal Trainer, my charity START Foundation, my sport of triathlon, and the special people in my life. I used to smoke when I was a teenager! Everyone did back then! So glad I gave it up in my early 20’s. Be true to yourself, be confident in your abilities, and work hard to achieve your dreams because anything is possible. Do you have one crazy funny story you can share? I used to wear a prosthetic shoulder for cosmetic reasons and to make my clothes sit properly. One day I was shopping in Woolworths when the strap holding my shoulder on broke, leaving my shoulder sticking out of my stomach. I spent ages trying to maneuver the stupid thing back in place but couldn’t do it so I had to undo my shirt and take it out. Can’t imagine what security would have thought seeing that on their video screens! Is there something that you would like people to know about you or about people with disability that they might not know? I can do most things that able-bodied people can do but sometimes it just takes a little longer. I will ask you for help if I need it but never be afraid to offer it. I am always grateful that someone has looked out for me. Also laugh at myself more than anyone else when I get stuck trying to do something and failing. Chris is a wheelchair user, mother, drinker of gin, lover of all thing sweet and salty, adventurer, and cat lover. She live's in Geraldton, Western Australia with her husband Zane, a deep thinker, recreational cyclist and all-round good guy. A truly inspiring story…. obviously a fantastic lady!! !